Anyeong Haseyo! 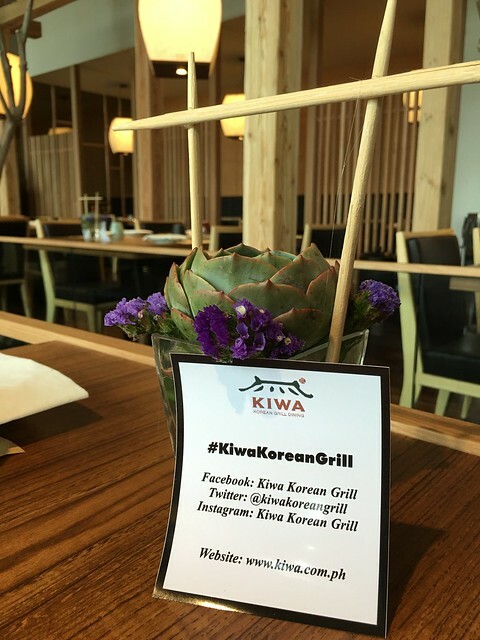 I've been having a Korean fever for the past few weeks, watching Boys Over Flowers on iFlix, shopping at a new K-Beauty online shopping site then now, Kiwa, a fine Korean dining barbecue restaurant, the only one in South East Asia, has opened in Solaire. 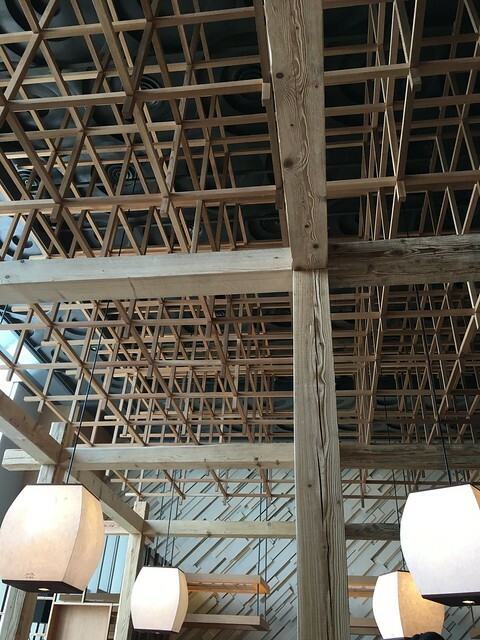 Welcome to Kiwa! See that couple of cute bears? They welcomes you as you enter Kiwa. 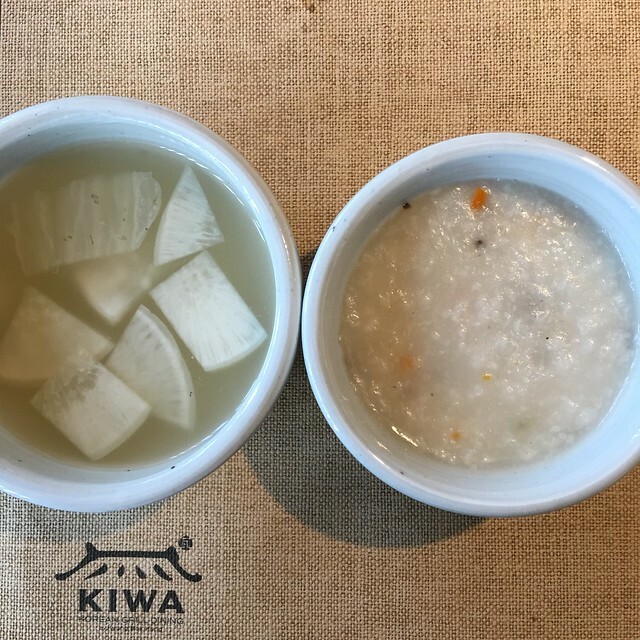 Are you wondering what Kiwa means? Kiwa means traditional roof tile, the ones used for Korean homes and just like the one at the entrance of Kiwa (see photo above!). Side story: It was actually my first time to be in Solaire and I got lost trying to find parking. Haha! I had to call Mish pa so I just went around and just had my car valet parked na lang (their valet parking rate is reasonably priced at Php75 for the first three hours). Ok back to Kiwa! Korean population in the Philippines, not only in Manila has been rapidly increasing through the years. 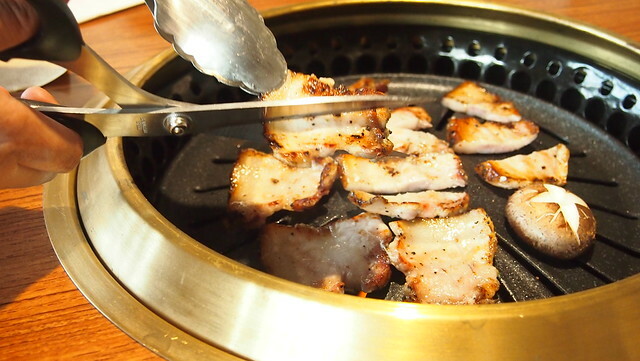 I'm sure you've also noticed there's Korean restaurants everywhere but because there was no Korean fine dining barbecue set-up in the country, that need was filled Kiwa. 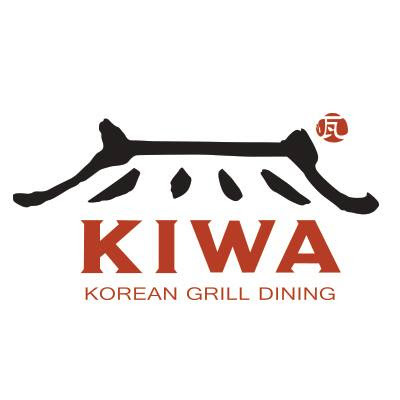 Kiwa is owned by Dr. David Shim and his associates. He is the CEO of Solaire Korea and Kiwa is under the supervision of Solaire Korea. 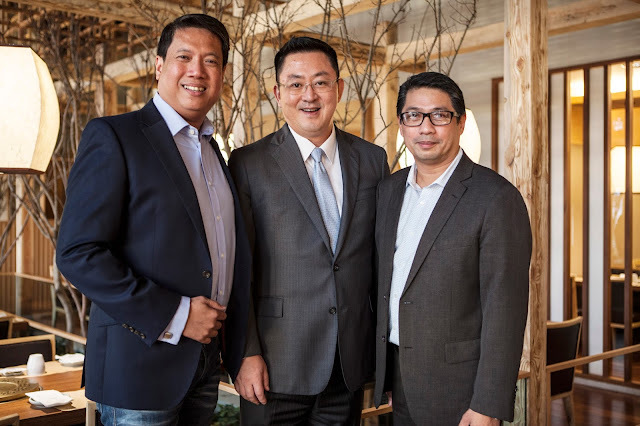 Meet (L-R) Noel Corpus (CFO), Eddie Park (COO), and Ed Reyes (CEO) of Kiwa Korean Grill. Kiwa's head chef, Gi Won Park. 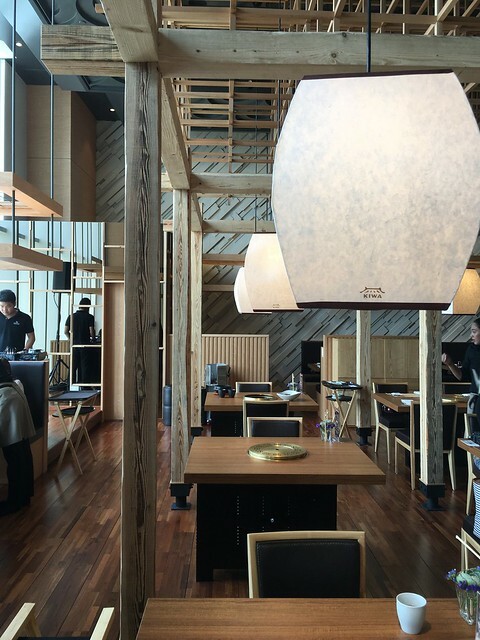 More than the great food I'm going to tell you all about, Kiwa also has great interiors which was designed by a Korean firm. 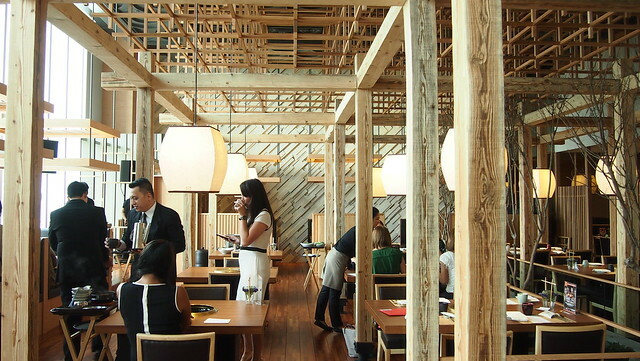 It's traditional yet modern and chic, sophisticated but still cozy, a place where you can take your family or your husband/boyfriend/partner on your date night or lunch (to dine with a view)! Everything from the chairs, tables, lights and even the stones are all from Korea! You can't get more authentic than that! 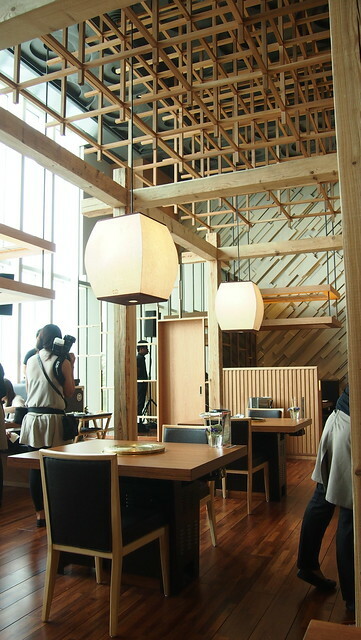 Love the big lanterns and Cidori-inspired wooden trusses (according to BOS heehee)! 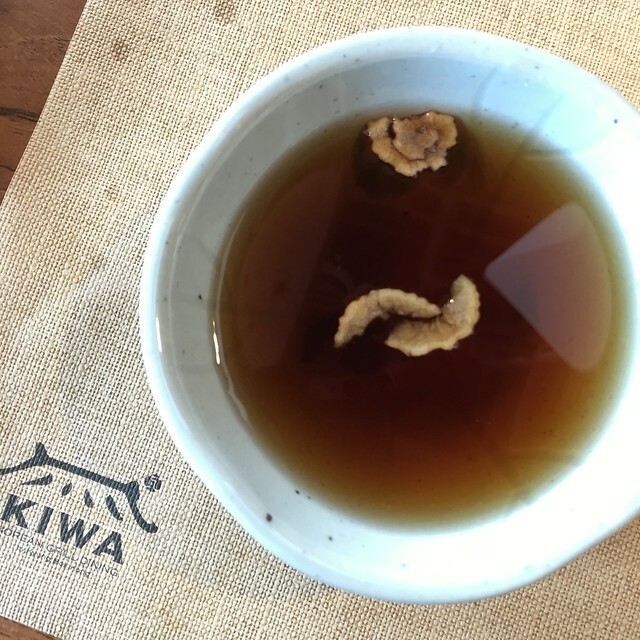 And this is why you must lunch at Kiwa! 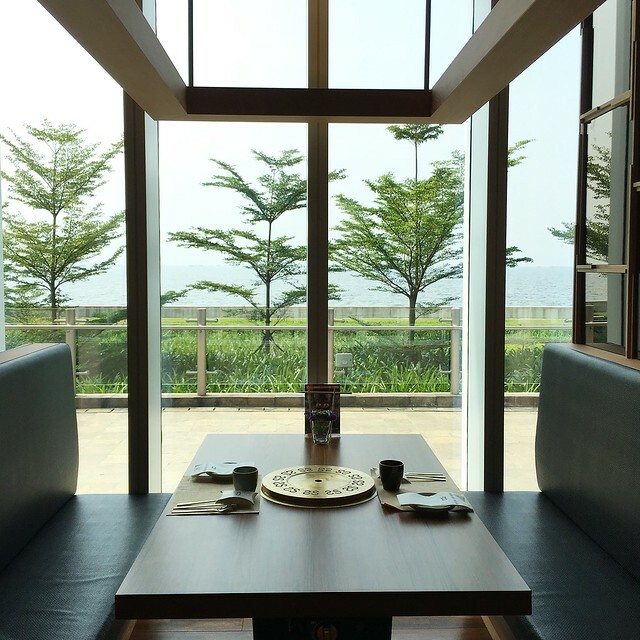 A view of Manila Bay while you enjoy your lovely Korean meal! 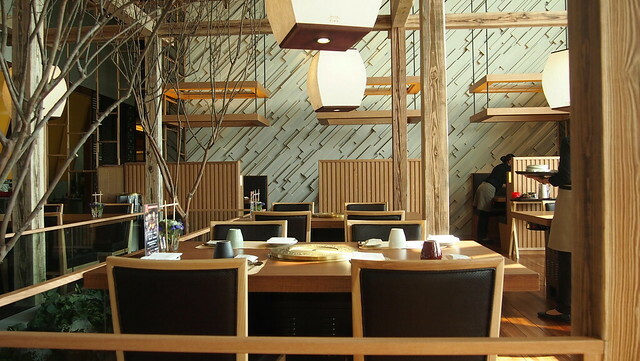 Kiwa has a seating capacity of 184. 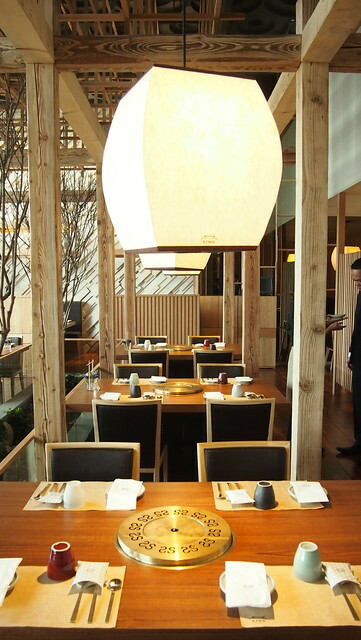 They have 8 private rooms which can expand into one big private room that can accommodate up to 48 persons. The smallest private room can hold 8 persons. 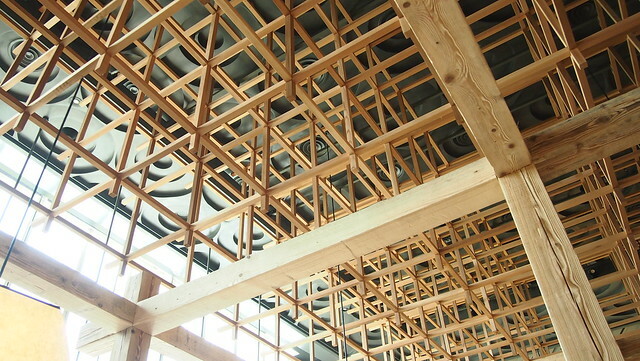 Kiwa aims to provide only the best of everything. 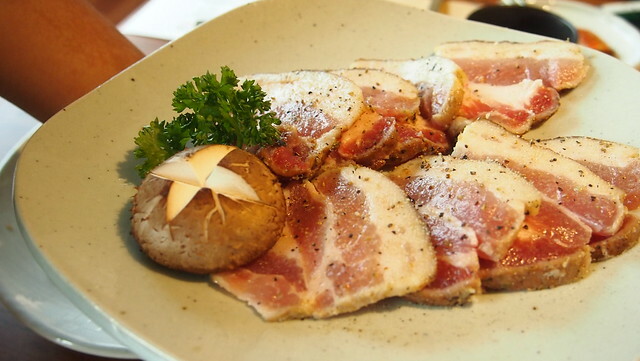 All of their ingredients are fresh and uses only grade A+ Japanese Wagyu and USDA beef. 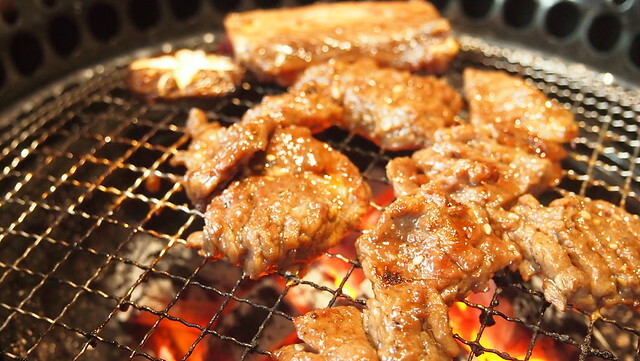 They can't serve Korean beef because they cannot be exported. Everything in their menu is a collaboration among their chefs headed by Gi Won Park and all of their recipes are kept authentic. You can also be assured of their top notch service standard as they follow strict 5-star sanitation rules and regulations. Now let's go on with the food! My lunch and table mate for that day was Kaye, we were both latecomers! Heehee! We had one of their sample lunch sets. A full course menu is around Php3,000, lunch sets start at Php1,500 and rice sets go from Php800 up. We started with this lovely Pumpkin Salad. This was one of my favorites! 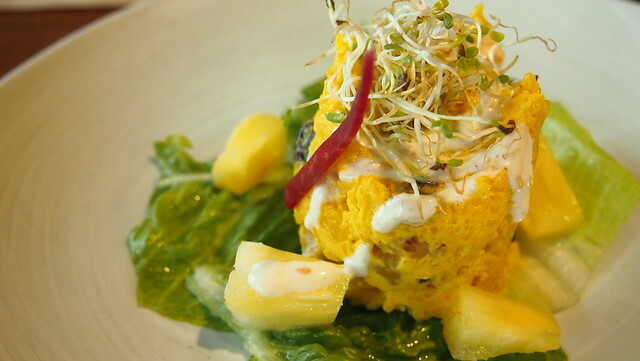 Mashed pumpkin mixed with assorted nuts with assorted seasonal vegetables with sesame seed dressing. 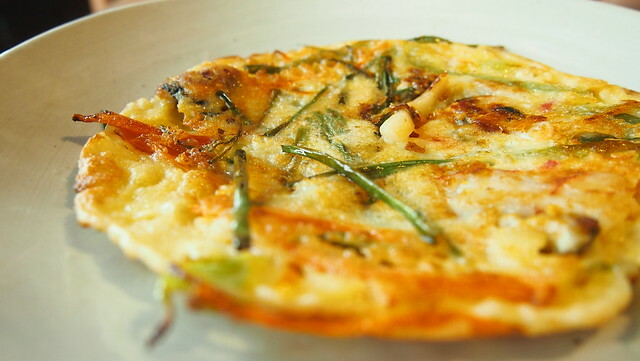 Next was the Haemul Pajeon. Pancake mixed with seafood, spring onion and assorted vegetable with spicy soy sauce with sesame oil on the side. 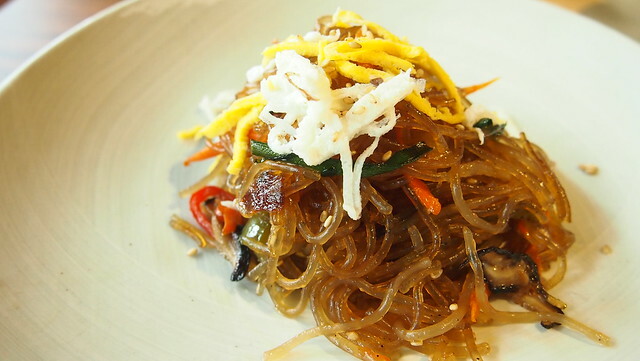 Japchae, seasoned soy sauce based pan friend glass noodles with beef and fried assorted vegetables. 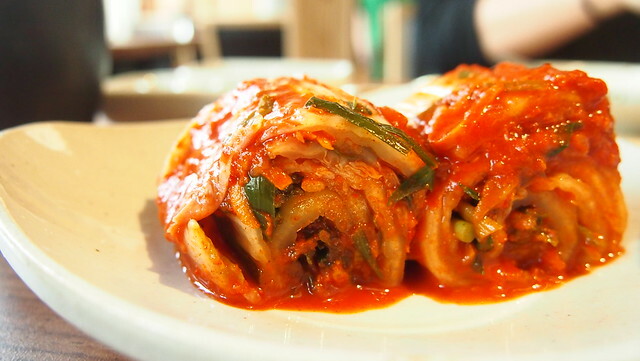 What's a Korean meal without kimchi? One of best kimchis I ever had. Honestly, I am not fan of anything spicy. I am scared of it but I truly enjoyed this kimchi! 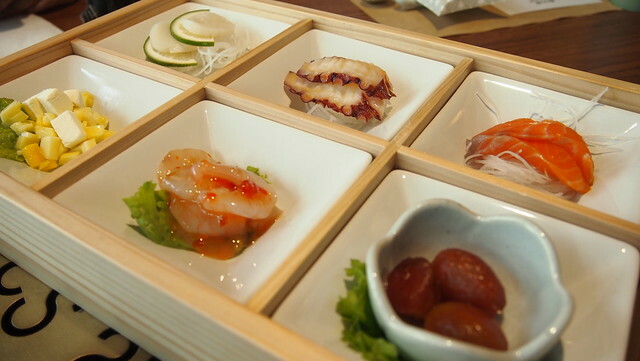 Gobachi, a platter of (clockwise) scallop sashimi, steamed octopus, salmon sashimi, marinated tomato, steamed shrimp, and green mangoes with cheese. Then we were served with a bowl of cold raddish soup and porridge. That porridge was delicious! I actually wanted to ask for another bowl or two. Heehee! 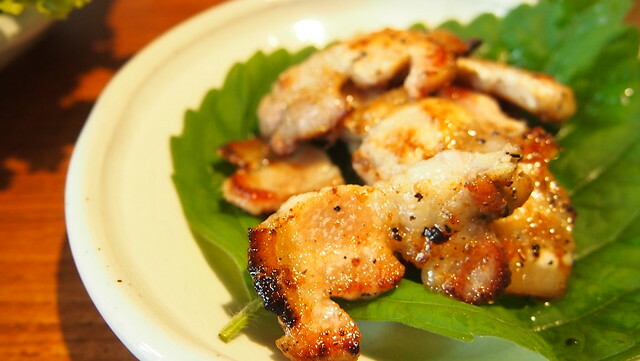 Next on our menu was Grilled Samgyeopsal and Yang Nyeom Gal Bi, both are grilled in front of you by the servers of Kiwa. Diba at other Korean barbecue restaurants, after eating you'd smell like what you ate? You won't have to worry about that in Kiwa. 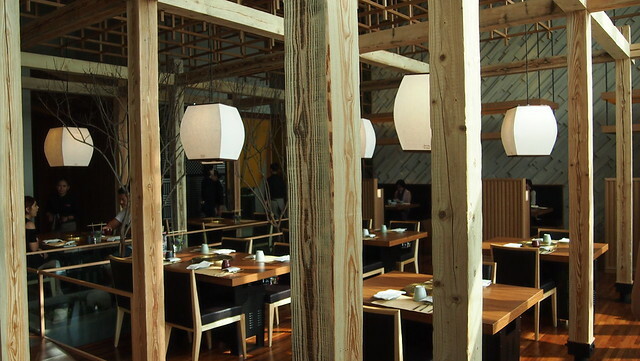 Kiwa prides itself for their state-of-the-art exhaust system under the restaurant so all the smoke goes under. 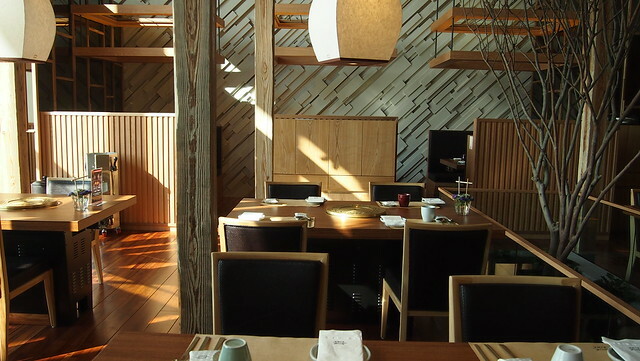 It is the best technology in Korea so when you dine at Kiwa, you will not smell like smoke and barbecue. Pork belly ready to be grilled. 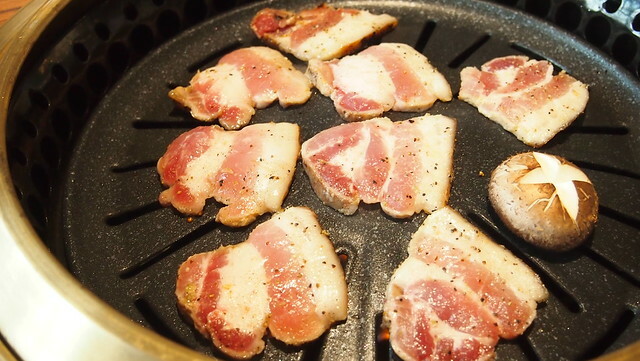 Grilled Samgyeopsal. Pork belly grilled to perfection! You can see the quality of meat they serve in this picture! 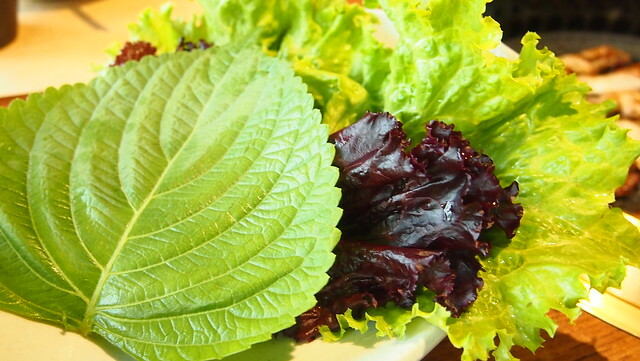 Choose your choice of wrap: Korean sesame/perilla leaves, red or green lettuce. And this is how I eat Samgyeopsal... with kanin! Heehee! Ang Pinoy lang! 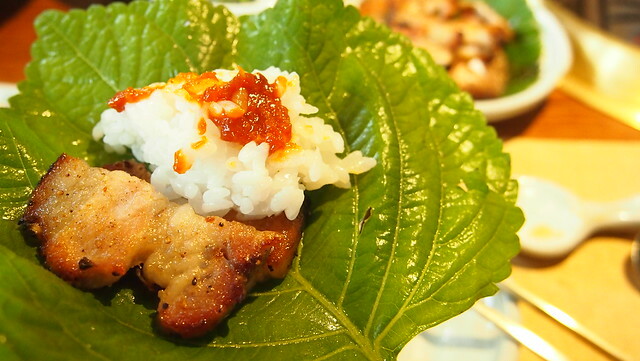 It was my first time to try sesame leaves! 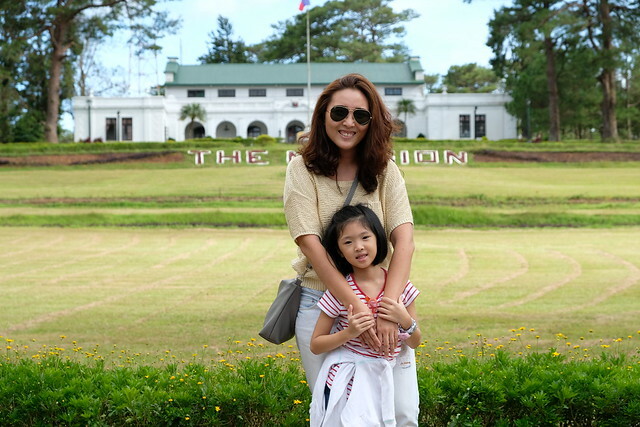 Photo caught by the official photographer.. heehee! My chubby cheeks and my third wrap of samgyeopsal! Yang Nyeom Gal Bi, one of Kiwa's specialties. 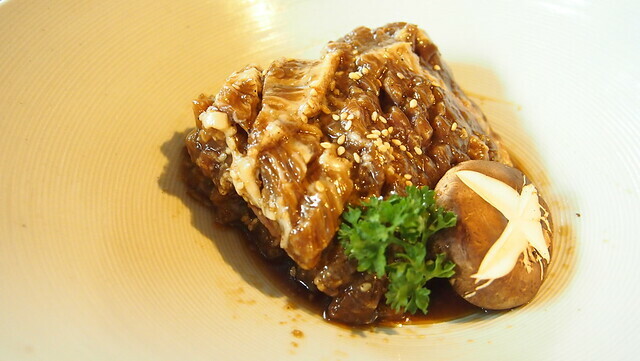 Marinated beef with Kiwa's special sauce. 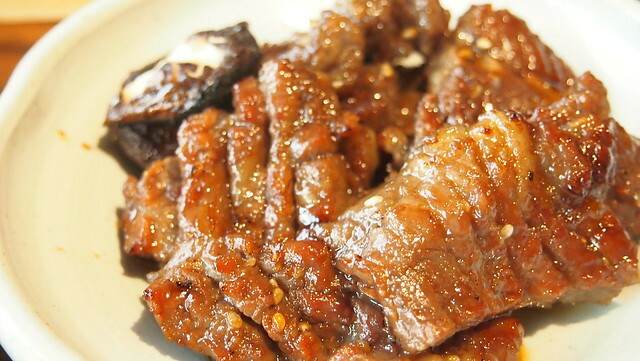 Tender, sweet and juicy beef that goes so well with rice! 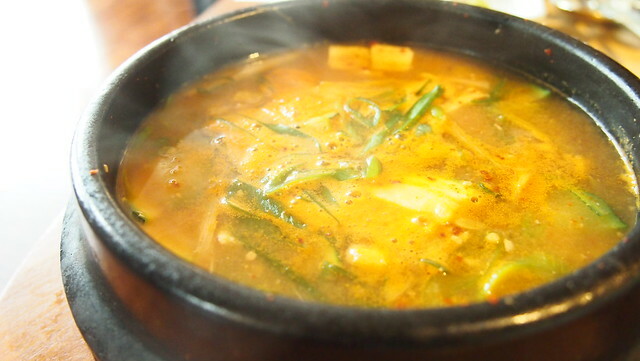 We were also served with this piping hot Kimchi Jjigae which I really liked. If you are a soup person like me, you will like this! We ended our Korean meal with a sweet note. 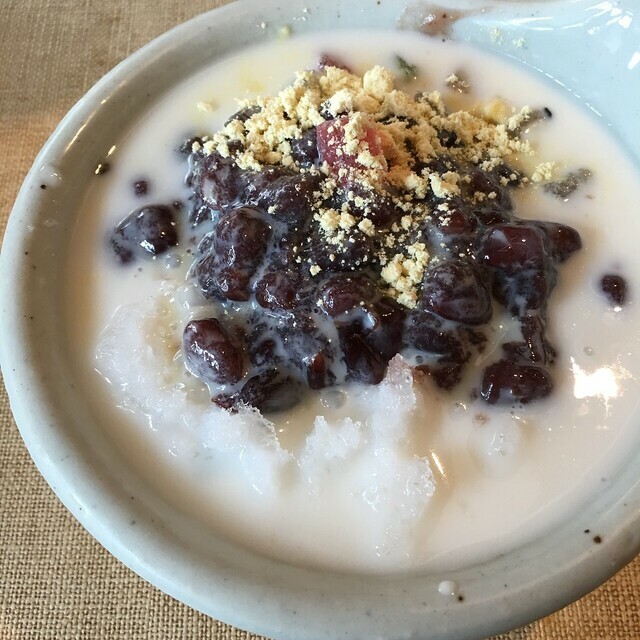 We had a bowl of Patbingsu, shaved ice with red beans. And this sweet plum tea which says to aid digestion. We were the last ones to leave! Thank you for the chika heehee! I love everything we had! 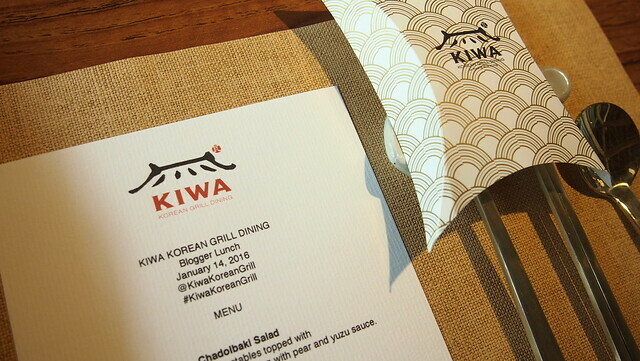 고맙습니다 Kiwa Korean Grill for the lovely lunch! I'm treating BOS to Kiwa on my birthday next month. :) Yay! Ladies who lunch: Kaye, me, Jackie, Neva, Tin, Tiff and Mish!